Naturally you've seen Ringu. Everybody has. Don't bother with the Korean or American remake, the spin-off series or any of the sequels or prequels. They're all crap. All except this 16 minute reboot, of sorts. Instead of trying to retell the same story yet again, Rings expands on the idea in a very simple way: by multiplication. 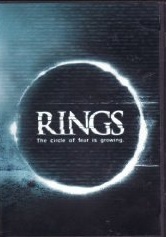 Despite its short running length, the film is very effective and manages to conjure up some interesting new images.